The United States is full of delicious food, from high end restaurants to satisfying quick eats. Restaurants across the states vary from French and Indian cuisine, to American grills and laid back Japanese sushi bars with amazing displays designed to take your breath away. When it comes to a high quality restaurant, the food is not the only factor that decides how many stars a restaurant gets. The atmosphere, the customer service, and the cleanliness of a place also determines if a restaurant is worthy of being called one of the best in the nation. Though hard to chose, the following is a list of only the 15 best restaurants that are currently serving up mouth watering food with impeccable service in the United States. 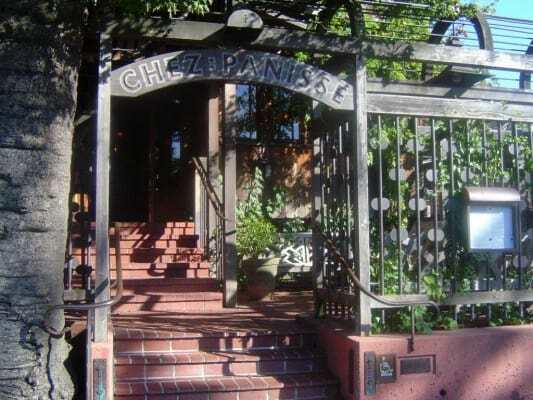 With a cozy, modern feel to the restaurant, Chez Panisse, located in Berkeley, California, is sure to be a crowd pleaser. Serving up dishes made only from local, organic foods, Chez Panisse prides itself for using the California cuisine style of cooking. 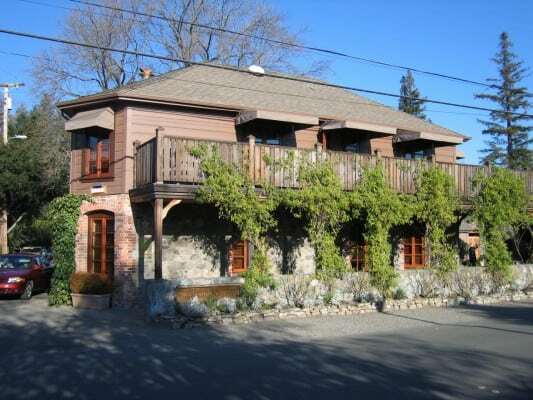 Alice Waters, the owner, has won several awards for her restaurant including Gourmet magazine’s Best Restaurant in America in 2001 and won the Restaurant Magazine’s Lifetime Achievement Award in 2007. Due to buying food from local farmers, ranchers, and dairies that are sustainable and organic, the menu changes up based on what is currently in season. Mondays are reserved for more rustic and regional dishes, while Tuesday through Thursday are set up for 4-course meals. Fridays and Saturdays serve up more elaborate 4-course meals. 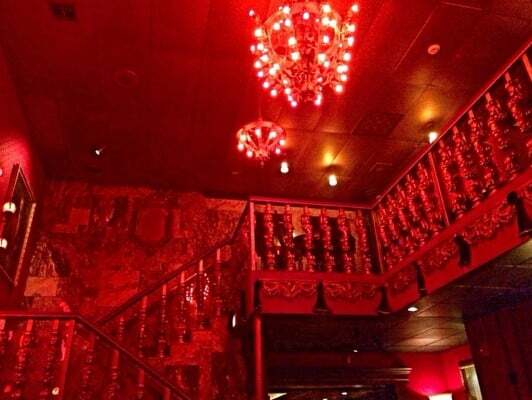 The upstairs area has a café with an a la carte menu, set up to be more modestly priced than the downstairs portion. The restaurant is closed on Sundays. A modern Indian restaurant with a sophisticated atmosphere, Rasika in Washington D.C., is best known for it’s popular crispy spinach dish. Rasika prides itself of it’s signature dishes along side the crispy spinach, including Tawa, Sigri, Tandoori, and other regional dishes. Rasika is one of eight award-winning restaurants owned by Ashok Bajaj, who founded Knightsbridge Management, LLC in 1989. 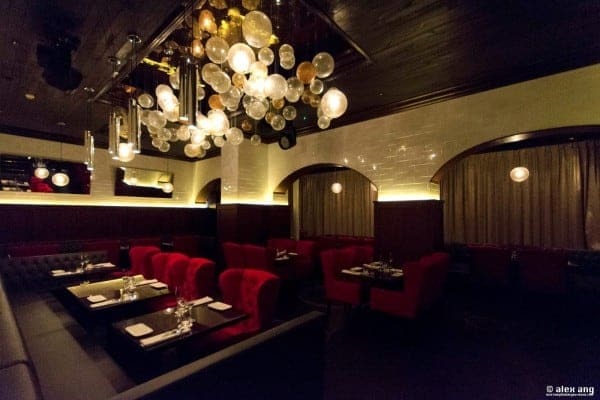 Bajaj has received numerous awards for Rasika as well as his other restaurants such as The Bombay Club, nopa Kitchen+Bar, and The Oval Room. Rasika was given the Best New Restaurants in the USA award by Esquire, and was featured in numerous other publications, winning titles and awards for best restaurant numerous times. Ashok Bajaj was also named one of the 50 Most Powerful People in Washington by GQ magazine in 2009, receiving numerous personal awards highlighting his success as well. Rasika also features a temperature controlled wine cellar that can also be enjoyed by guests. North African cuisine at it’s finest, NoMad in New York City features dishes that range from Moroccan, Berber, and French. Some of the most famous dishes on the menu include tajines and phyllo dough, along with numerous delicious couscous dishes. The deserts at NoMad are crowd pleasers as well, from their milk and honey based dishes such as the honey-soaked baklava and almond-stuffed cherek, more than satisfy one’s sweet tooth needs. Salima and Mehenni Zebentout are the Algerian-born owners of NoMad, focused on bringing the best of North African cuisine straight into the East Village of New York City. 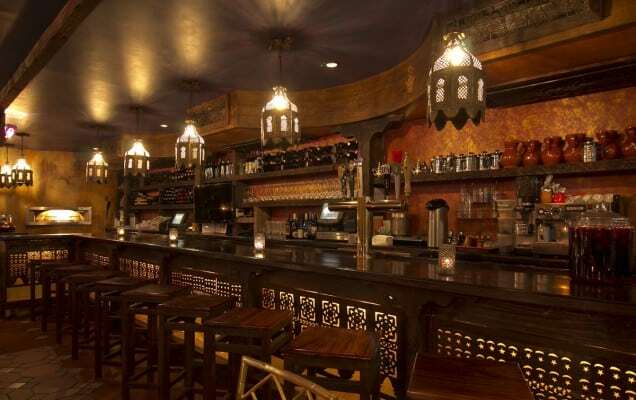 The décor of NoMad include classic Moroccan and Tunisian murals and art, with walls made of stucco and a beautiful enclosed outdoor garden that is accessible for people to enjoy their food at. NoMad is the perfect way to escape to a culture far away from the everyday culture people are used to in the United States, with a calming atmosphere lit by copper lamps. Located in the heart of the Napa Valley in California, The French Laundry has been named one of the Top 50 Restaurants of the World by Restaurant Magazine. 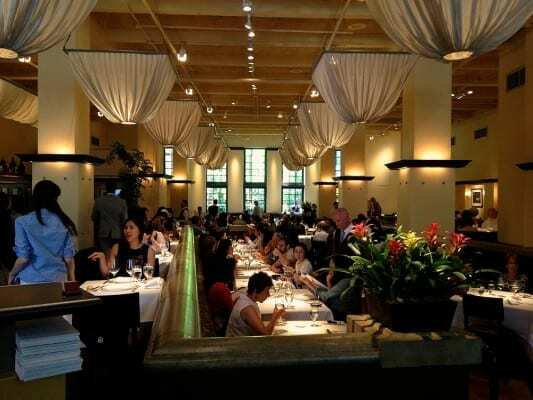 Located in a building that was made in 1900 and registered under the National Register of Historic Places, owner and head chef Thomas Keller brings French cuisine with modern American influences to his guests, including Russian caviar and truffles with meals. The French Laundry offers two different menus that feature nine courses, making sure to never use the same ingredient more than once. The menu offers special dishes during the holiday season, and a typical base price per person runs about $295. The French Laundry is open every evening throughout the week and offer a lunch menu on Fridays and Saturdays. The French Laundry closes for two weeks every winter and summer. One of the dishes made famous by The French Laundry is frog legs on a stick. 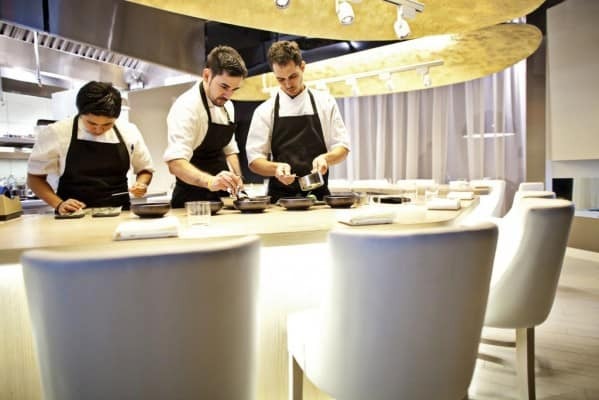 Best known for owner and chef Jose Andres’ avant-garde cooking and intimate setting of only twelve guests, Minibar in Washington, D.C. gives visitors a unique experience that leaves patrons wanting more. With a focus on Spanish cuisine, each dish is designed to ignite the senses and create a pleasurable experience for those who enjoy the food. Along with delicious food that combines tradition and technique with art and science, Minibar also offers culinary cocktails that are unlike any other a person has tried before. Named one of Time magazine’s 100 Most Influential people and given the award for Outstanding Chef by the James Beard Foundation, Jose Andres is the owner of ThinkFoodGroup, author, educator, television personality, and an advocate for food and hunger issues. Jose Andres is also the founder of World Central Kitchen. Minibar serves as a test group for the kitchen to try out different concepts of food and dining for the ThinkFoodGroup organization. 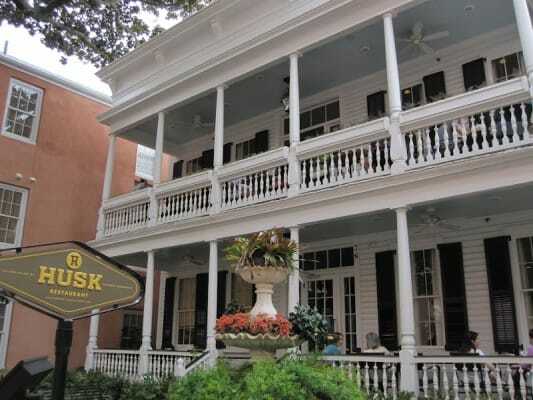 Thrown back in time to the Victorian era of the United States by serving up dishes in a restored Victorian era home, Husk Restaurant in the charming town of Charleston, South Carolina, loves bringing traditional Southern cuisine to the table. The menu changes consistently and provides locally sourced food to guests, ranging from oysters and clams, duck, pork, catfish, chicken, and a variety of heirloom and locally grown vegetables. The menu changes daily and varies depending on what is available in the local market. Located in downtown Charleston, the award winning Chef Sean Brock loves to bring the essence of Southern food to life for patrons of the restaurant. The goal of Sean Brock and Lowcountry native Chef de Cuisine Travis Grimes is to redefine the meaning of cooking and eating in Charleston. Kurios Farms is a supplier of produce to Husk, providing hydroponically grown vegetables for the restaurant during the off season of growing. Located in the heart of Greenwich Village in New York City, Gotham Bar and Grill is a beautiful and lively restaurant that serves up New American cuisine. Chef Alfred Portale serves up celebrated cuisine in a stylish way, earning Gotham Bar and Grill numerous awards and praise from the toughest of critics. After opening in 1984, Gotham Bar and Grill received a fifth three-star review in 2010, which is something that no other restaurant in New York City has earned. The New York Magazine named the restaurant one of the most important New York restaurant in the past forty years. Along with being highly ranked in the Zagat Guide for consecutive years, Gotham Bar and Grill also has an exceptional wine program that includes wine from hard to find varieties and top wine makers. Gotham Bar and Grill serves dinner every evening and provides a lunch menu Monday through Friday. With an incredible background story, Bern’s Steakhouse has been in operation since the 1950’s. Original owners, married couple Bern and Gert Laxer, had a vision when they came to Tampa, Florida to open up a little ice cream parlor. Instead they opened up a juice bar, which then evolved over the years into what is now Bern’s. After several years working in the restaurant business, Bern’s Steakhouse was born and is a high end thriving restaurant today as well. As one of the best steakhouses in the United States, Bern’s also offers an impeccable wine, port, sherry, and madeiras menu along with 50 different desserts. The steaks are perfectly aged, the desserts are decadently delicious, and Bern’s has the largest collection of wine in the world. After Bern died in 2002 and Gert retired shortly after, their son David Laxer is now the owner of Bern’s Steakhouse. Tours of the kitchen and wine cellar are available upon reservations. The most celebrated restaurant in the capital of Atlanta, Georgia, comes Bacchanalia, a contemporary American cuisine restaurant that believes in the philosophy of serving light dishes that are bursting with strong flavor. Rated number one in the Zagat guide in Atlanta since 1996, Bacchanalia uses a seasonal menu that uses only organic ingredients, many of which come from Anne and Clifford’s farm, who are also the owners and chefs of Bacchanalia. The menu at Bacchanalia consists of a five-course meal that includes two appetizers, a cheese course, an entrée course, and a dessert course that costs $85 per person. An a la carte menu is also available at the bar for those looking to grab a quick eat. Besides winning awards for Best Overall Restaurant and Best Food, Bacchanalia has also won Best Service. The restaurant holds up to 90 people and reservations are recommended in advance, with a private party area for 20 people also an option. Located on the fourth floor of the Time Warner building in New York City and with a view of Central Park, Per Se is an award winning French and New American restaurant owned by Thomas Keller, who also owns The French Laundry in Napa Valley, as well as several other high end restaurants. Per se features not only a restaurant, but also a bar, wine cellar, and salon. Per Se has two daily menus, one being a vegetarian only menu. It one of only seven restaurants in the United States that has been awarded three stars in the Michelin Guide. Per Se earned a four star rating by New York Times in 2004 and 2011, named 9th best restaurant in the world by Restaurant Magazine in 2007 and again ranked 10 best in the world in 2011. Both menus are nine-course tasting menus, that cost $310 including non-alcoholic beverages. The Zagat guide rated Per Se as the best American cuisine restaurant in New York City in 2013. 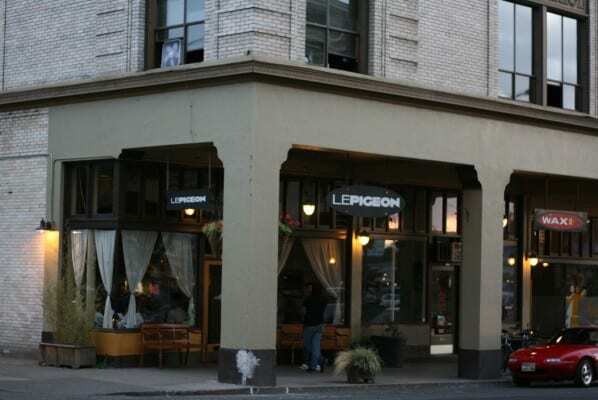 Known best for their specialty Foie Gras Profiteroles, LePigeon in Portland, Oregon, serves up classic French cuisine in an chic communal tabled atmosphere as well as within a snug room with a bar. The food provided in LePigeon is locally sourced, seasonal, and fresh, prepared in an innovative way that keeps patrons coming back for more. LePigeon offers an open air kitchen so that guests can watch the process it takes for the chefs to prepare dishes that are ordered. The menus change depending upon what is available seasonally, and patrons can enjoy larger or smaller courses depending upon individual needs. The Chef’s Tasting Menu includes a wine pairing and five courses, though a seven course option is also available. Gabriel Rucker, the head chef and owner of LePigeon, has won several awards including several James Beard Awards for Best Chef in the Northwest in 2013 and Rising Star Chef of the Year in 2011. Internationally acclaimed four star French and seafood restaurant in New York City, Le Bernardin, offers an unbelievably tasty menu that pleases all of the senses. With an origin story that dates back to 1972 in Paris, owners Gilbert and Maguy le Coze moved to New York City in 1986 to bring Le Bernardin to the United States. Le Bernardin goes by the philosophy of “The Fish is the Star of the Plate”3 The focus of Le Bernardin is to use fresh ingredients that enhance and elevate the flavor of the fish. The dessert and wine menu are also things patrons should try, and Le Bernardin has an extensive rewarding history. 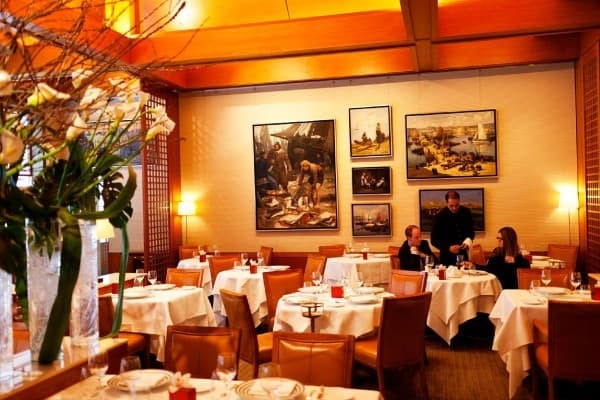 Restaurant Magazine named Le Bernardin the 15th best restaurant in the world in 2009. Le Bernardin also received three James Beard Foundation Awards, three Michelin stars, and was called the Most Popular and Number One For Food in New York City by Zagats in 2013. 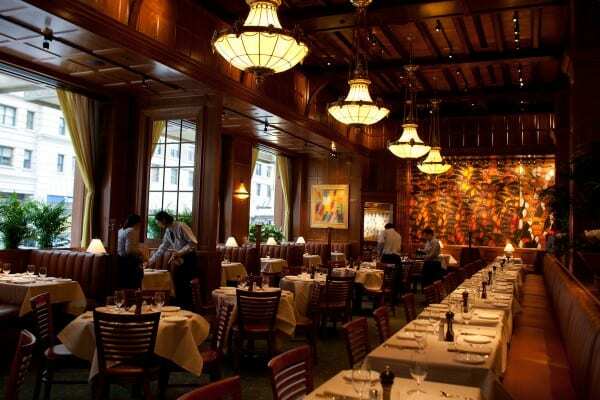 It was also named the number one restaurant in New York City in 2013. Founded in 1979 in San Francisco, California, Zuni Café is best known for their whole roast chickens and bread salads, which are touted absolute must haves for anyone visiting the café. 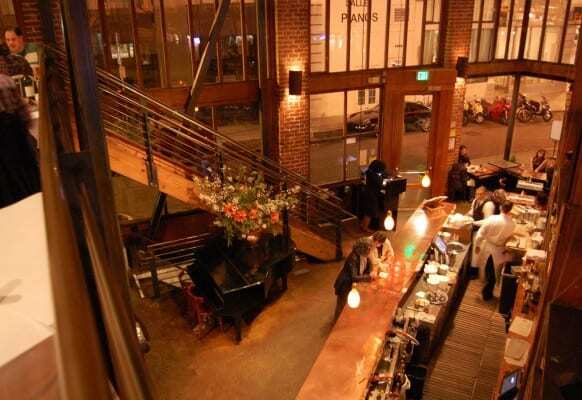 Named the Best Mediterranean/Greek Restaurants in San Francisco, Zuni Café is an absolute crowd pleaser. With a casual atmosphere located in the Market area of San Francisco, the idea of Zuni Café is to relax and share your plate with those who come with you to eat. Other famously known dishes on the menu to try include the shoestring potato fries, burgers, grilled bread, toasted pine nuts, and their selection of wine and dessert. Menus change daily and Zuni Café uses seasonal, organic ingredients for their well known French and Italian cuisine. The La Vie en Rose cocktail is one of the most famously known cocktails served up by Zuni Café, as well as the impeccable service from the entire staff. One of the oldest and best restaurants in the United States serving up elegant Creole dishes, Commander’s Palace is well known for it’s award winning food and history that dates back to 1880. 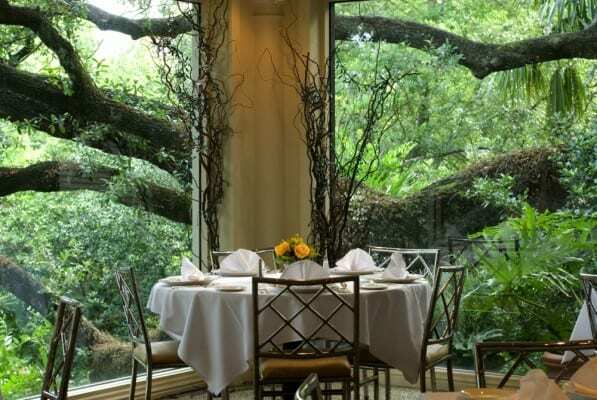 Located in the Garden District of New Orleans, Louisiana, Commander’s Palace is nestled in a large Victorian era building that seats many people in it’s beautiful dining rooms. Established in 1880 as a restaurant by Emile Commander, Commander’s Palace gained popularity and visitors from all over the world by 1900. Commander’s Palace is most well known for combining Creole and American cuisine and using dishes from Emile Commander’s original menu, providing everything from seafood and meats to fruits and vegetables. Along with trying the cuisine, the wine selection is meant to compliment the food and is regarded as some of the best. Commander’s Palace has earned numerous awards and recognitions, including America’s Most Historic Restaurants by USA Today, New Orleans’ Top 50 Restaurants by Zagat, and New Orleans’ Number One Restaurant by The Daily Meal. Considered to be one of the most bustling and inventive restaurants in New York City serving up New American cuisine, Momofuku Ssam Bar offers dishes of many sizes to accommodate each guest accordingly. 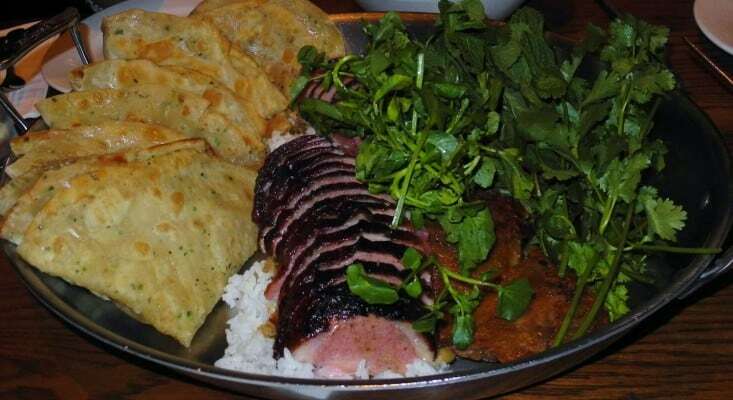 Pork is a staple dish for Momofuku Ssam Bar, as well as the rotisserie duck and dry aged ribeye. Brunch is also offered at this restaurant on Saturday and Sunday, with the bar open late that prides itself on making drinks using new techniques. The most famous and highly regarded dish at Momofuku SSam Bar are the Steamed Pork Buns, as well as the Country Ham. Chef David Chang designs the courses to be perfect for group dinners, and Momofuku Ssam Bar won the award for Best Restaurants for Group Dining in New York City. After opening in August of 2006, Momofuku Ssam Bar prides itself on it’s evolving menu that seeks to be cutting edge and evolve with new technologies and techniques.